Have you received a warning from Google letting you know that Google cannot access CSS and JS files on your website. 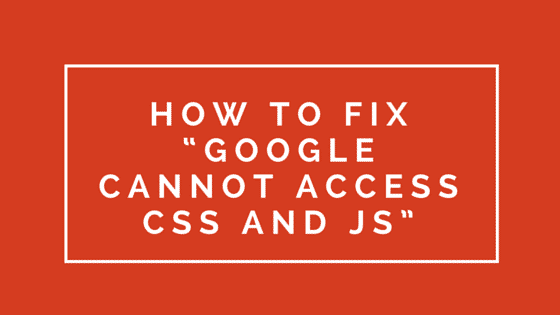 Some of you have being experiencing some issues trying to solve an email sent by Google Search Console with the subject: Google cannot access CSS and JS files on your website. The email is to notify you that Google Bot can’t access or crawl the CSS and JS on your website. This is due to a restriction in your robots.txt file.